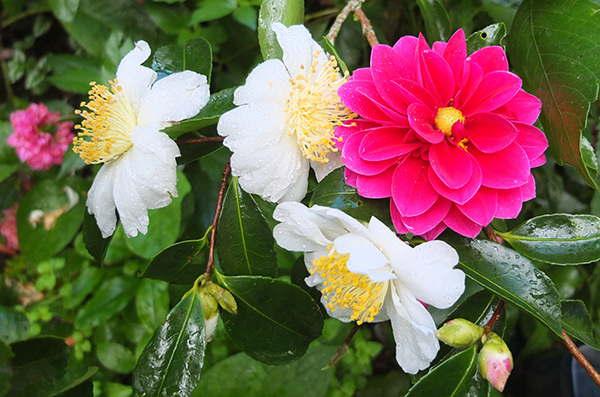 New Camellias in a garden are supposed to be exciting and special. So the year after one is acquired and planted I should be ready, waiting, anticipating its blooms, eager to re-introduce myself. Hello, Weeping Maiden. Do you remember me? My goodness you're an early bloomer! I'm your gardener. I planted you in late winter 2013. The next year I totally forgot you were there. I suspect you wept for self-pity, smothered by the green growth of Alkanet and attendant weeds. 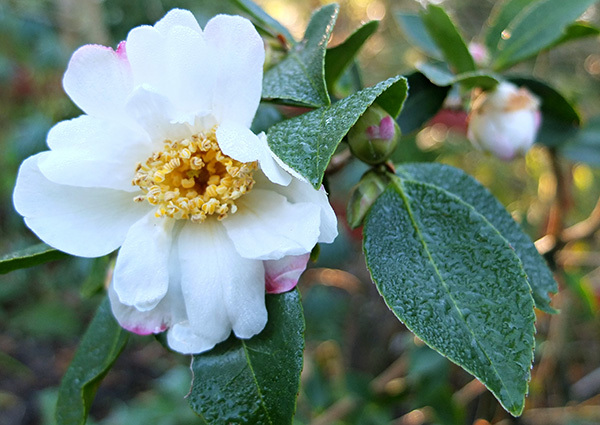 But in the mid-winter month I did spy a couple of tatty blooms, and duly photographed them. My goodness, so early! 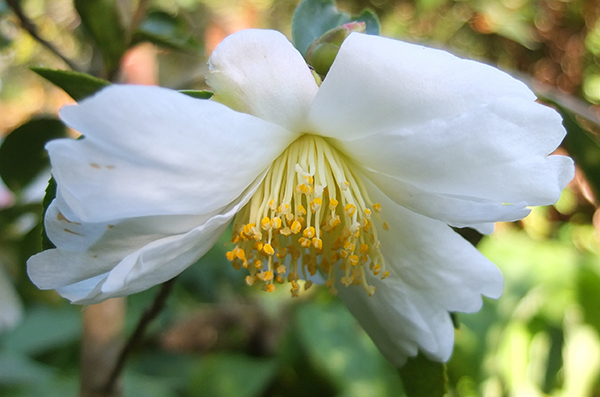 Weeping Maiden has single white flowers and yellow stamens. 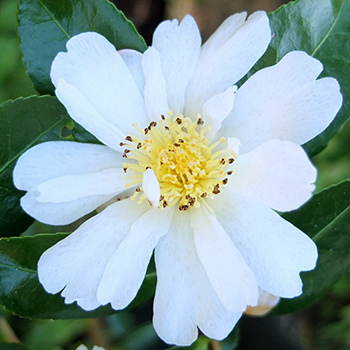 In my garden the shrub has been slow to 'get going' and at this stage lacks impact. But I'd love to be wowed when it gets a bit of growth on, and I've duly promised it a more consistent weeding regime. I'm not sure of this, but Weeping Maiden may only be available 'down under' - that is, in New Zealand and Australia. And as the yearly weather patterns seem to become more and more distracted, Weeping Maiden blooms earlier and earlier. Here she is in the autumn of 2018, keeping company with an early autumn dahlia.